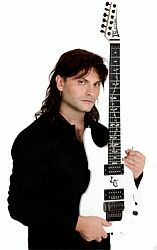 There are only two easy steps left to begin your neoclassical revelation master guitar course with Luca Turilli and Tom Hess. Remember you get all the same training that I used to master neoclassical guitar playing. This includes 5 different guitar lessons in one (for the price of only one) and you will hear and play along at any speed! You get the rock solid foundation of neoclassical guitar technique so that you learn how to play all the great neoclassical shred guitar techniques that sound so awesome. You get all the incredible sounding neoclassical guitar scale sequences, and arpeggios. You also get my exclusive ‘Neoclassical Guitar Etudes’. In addition you get my personal 'perfectly correct' lessons & transcriptions of my guitar solos from my Rhapsody Of Fire and Luca Turilli's Rhapsody albums. You get my personal guitar transcriptions of classical masterworks from Chopin, Paganini, Bach, Beethoven, Debussy, Liszt and many others. Plus you get full and exclusive access to the neoclassical revelation forum. Your lessons from Luca and Tom Hess will be alternating (your 1st, 3rd, 5th, 7th, 9th, etc. lesson will be from Luca, and your 2nd, 4th, 6th, 8th, 10th etc. lesson will be from Tom Hess). You agree to comply with all local rules regarding online conduct and acceptable content and specifically with all applicable laws regarding the transmission of technical data exported from the country in which you reside. All rights and permissions granted by us are subject to your complete and faithful compliance with your contractual obligations towards us including the complete and timely execution of payments becoming due to us. Any materials posted on our websites that you should copy, print or download are licensed to you strictly for your personal, non-commercial use only and provided that you do not change or delete any copyright, trademark, or other proprietary notices or use anything outside the permissions granted herein. Furthermore, you explicitly agree neither to reproduce any portion of the websites or access to the websites, duplicate, nor to copy, sell, resell or exploit for any commercial purposes. We reserve the right at any time and from time to time to modify or discontinue, temporarily or permanently, the websites (or any part thereof) with or without notice. You agree that we shall not be liable to you or to any third party for any modification, suspension or discontinuance of the websites. In the event that you upload, post, email, transmit or otherwise make available any content on the websites you are solely responsible for this content of any type including but not limited to text, music, videos, and/or photographs. We will not be liable for any content, or for any loss or damage of any kind incurred as a result of the use of any made available in any manner through the websites and do not control the content posted by you or others on the websites and, as such, does not guarantee the accuracy, integrity or quality of such content. We do not pre-screen content, and have no obligation to do so, but you acknowledge that we reserve the right, in our sole discretion to refuse or move any content that is available via the websites. Without limiting the foregoing, we and our designees shall have the right to remove any content that violates any law or decree or is otherwise objectionable. You acknowledge and agree that we may retain content and may also disclose content if required to do so by law or in the good faith belief that such retention or disclosure is reasonably necessary. You agree that you, or any content you submit, will not: contain libelous or otherwise unlawful, obscene, or abusive material; harm minors in any way; impersonate any person or entity, including, but not limited to our official, forum leader, instructor, or other registered member, or falsely state or otherwise misrepresent our affiliation with a person or entity; contain any content that infringes any patent, trademark, trade secret, copyright or other personal or proprietary rights of any party; contain any material that contains software viruses or any other computer code, files or programs designed to interrupt, destroy or limit the functionality of any computer software or hardware or telecommunications equipment; disrupt the normal flow of dialogue; interfere with or disrupt the websites or any servers or networks connected to the websites, "stalk" or otherwise harass another person or entity; or collect or store personal data about other users. You acknowledge and agree that the websites and any necessary software used in connection with the websites ("Software"), as well as all course materials and content provided by us, our instructors, and/or third parties for our online courses (the "Course Content") contain proprietary and confidential information that is protected by applicable intellectual property and other laws. You agree not to modify, rent, lease, loan, sell, distribute or create derivative works based on the websites, the Course Content, or the Software, in whole or in part. You agree not to modify the Software in any manner or form, or to use modified versions of the Software, including (without limitation) for the purpose of obtaining unauthorized access to the websites, or any portion of the websites. You agree not to access the websites by any means other than through the interface that is provided by us for use in accessing the websites. You further warrant and represent that content contained in sponsor advertisements or information presented to you through the Website, Course Content, or advertisers is protected by copyright, trademarks, patents or other proprietary rights and laws. The websites may provide, or third parties may provide, links to other websites or resources. Because we have no control over such sites and resources, you acknowledge and agree that we are not responsible for the availability of such external sites or resources, and do not endorse and are not responsible or liable for any content, advertising, products, or other materials on or available from such sites or resources. Your use of the online service is at your sole risk. The websites are provided on an "as is" and "as available" basis. We expressly disclaim all warranties of any kind, whether express or implied, including, but not limited to the implied warranties of merchantability, fitness for a particular purpose and non-infringement. We make no warranty that (I) the websites will meet your requirements, (II) the websites will lead to employment or gigs, (III) the websites will be uninterrupted, timely, secure, or error-free, (IV) the results that may be obtained from the use of the websites will be accurate or reliable, (V) the quality of any products, services, information, or other material purchased or obtained by you through the websites will meet your expectations, and (VI) any errors in the software will be corrected. Any material downloaded or otherwise obtained through the use of the websites is done at your own discretion and risk and that you will be solely responsible for any damage to your computer system or loss of data that results from the download of any such material. No advice or information, whether oral or written, obtained by you from us or through or from the websites shall create any warranty not expressly stated in the this agreement. You expressly understand and agree that we shall not be liable for any direct, indirect, incidental, special, consequential or exemplary damages, including but not limited to, damages for loss of profits, goodwill, use, data or other intangible losses (even if we have been advised of the possibility of such damages), whether based on contract, tort or strict liability, or otherwise, resulting from: (I) the use or the inability to use the websites; (II) the cost of procurement of substitute goods and online services resulting from any goods, data, information or online services purchased or obtained or messages received or transactions entered into through or from the websites; (III) unauthorized access to or alteration of your transmissions or data; (IV) statements or conduct of any third party on the websites; or (V) any other matter relating to the websites. Some jurisdictions do not allow the exclusion of certain warranties or the limitation or exclusion of liability for incidental or consequential damages. accordingly, some of the above limitations may not apply to you. You agree that we, in our sole discretion and without prior notice to you, may terminate your registered account (or any part thereof) or use of the websites, and remove and discard any content within the websites, for any reason, including, without limitation, for lack of use or if we believe that you have violated or acted inconsistently with the letter or spirit of the Agreement. We may also in our sole discretion and at any time discontinue providing the websites, or any part thereof, with or without notice. Termination, suspension, or cancellation of this Agreement or your access rights will not affect any right or relief to which we may be entitled in law or in equity. Upon termination of this Agreement all rights granted to you will automatically terminate. This Agreement and any posted operating rules constitute the entire agreement between you and us and govern your use of the websites, superceding any prior agreements between you and us with respect to the subject matter of this Agreement. You also may be subject to additional terms and conditions that may apply when you use affiliate services, third-party content or third-party software. You may not assign your rights under this Agreement to any third party. This Agreement and the relationship between you and us shall be governed by the laws of ITALY without regard to its conflict of law provisions. You and we agree to submit to the personal and exclusive jurisdiction of the courts located within TRIESTE, ITALY. The failure of us to exercise or enforce any right or provision of this Agreement shall not constitute a waiver of such right or provision. If any provision of this Agreement is found by a court of competent jurisdiction to be invalid, the parties nevertheless agree that the court should endeavor to give effect to the parties' intentions as reflected in the provision, and the other provisions remain in full force and effect. You agree that regardless of any statute or law to the contrary, any claim or cause of action arising out of or related to use of the Online Service or this Agreement must be filed within one (1) year after such claim or cause of action arose or be forever barred. The section titles in the Agreement are for convenience only and have no legal or contractual effect. Note: these lessons are not intended for beginning guitar players who have been playing guitar for less than 6 months and you must know how to play basic barre chords.